Download this FREE PDf file below. Hello to Sweet Scarlet friends in the UK & US! Happy Father's Day for this Sunday, June 19. (It's not Father's Day until September in Australia). 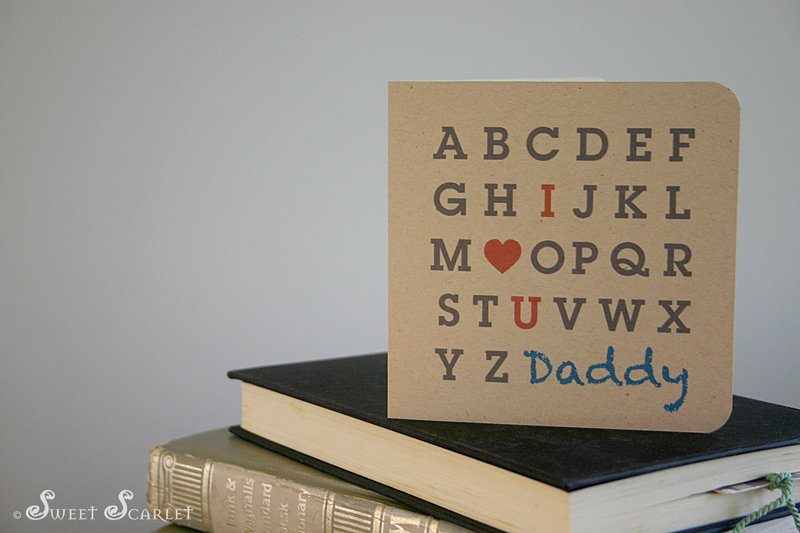 To celebrate, I have designed this cute card, perfect for the kids to give to Dad. I have printed it on an 'earthy' paper stock, but you can print it on whatever you like. 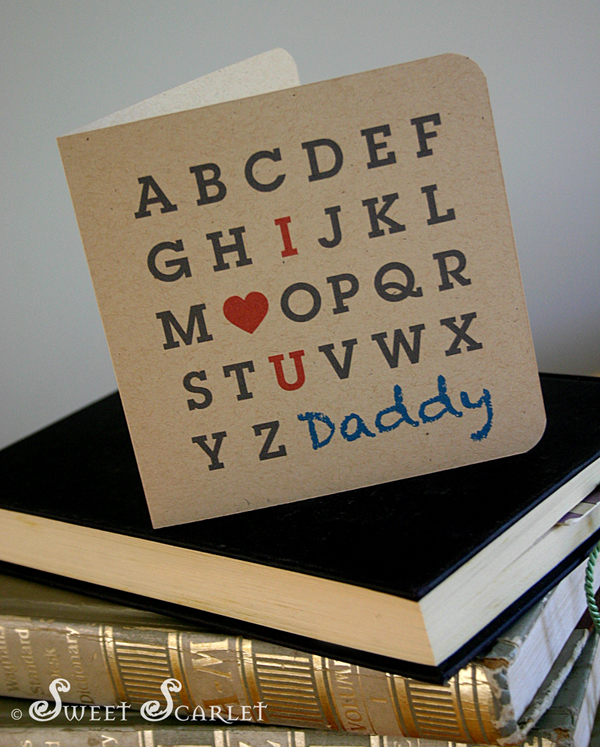 Enjoy & happy Father's Day to all the dads! Please use the links below to choose your paper size to download. You will be directed to the Scribd website. Click "Download" to download the PDF file to your computer. Then print, trim & create! PDF file which you will download from Scribd. 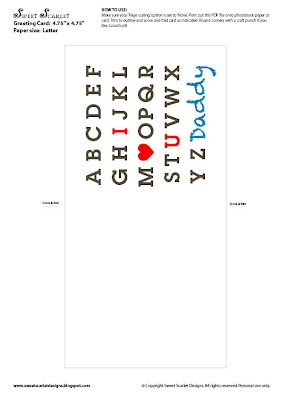 Labels: "diy card", "diy printables", "fathers day card", "fathers day", "free download", "greeting card", "Sweet scarlet"
Thanks for this card printable. I love it!!! This is so nice. So creative idea. Nice design. Great post. Where i can get the best designs for plastic business cards? Hi! I love this and was trying to download but was told I have to buy a subscription to scribd!?!? Is there a way to download this for free? Same question....Any way to DL free? I don't have any other use for Scribd subscription and this is ADORABLE. Ditto for me too. Is it available anywhere else? Same for me...don't have a Scribd account...how can I get this?! The employment of coloring, coupled with many different crystal clear in addition to hued platforms, Plastic business cards allows for an extremely innovative approach to many kinds connected with messaging, branding in addition to impression developing. Thanks so much for this cute card printable!! Love it!